Should You Buy a Car With a Rebuilt Title? A rebuilt title doesn't mean the vehicle is as good as new. If you're in desperate need of a vehicle but aren't willing to pay the high price for a certified pre-owned car, you've likely started investigating alternative ways to buy a used car at a better price. You can shop around for deals online, go to a car auction, or consider a vehicle with a rebuilt title. Compared to a similar vehicle with a clean title, a rebuilt car will offer substantial savings at purchase, but is it worth it? Find out what a rebuilt title means, the benefits and risks and how you can protect yourself from throwing your money away on a lemon. A used vehicle that has been in a serious accident or has incurred other substantial damage is given a "Salvage" title by the insurance company and then it is typically sold at auction. More commonly referred to as "totaled," a car gets a salvage label when the damage incurred is determined to be too high to be worth repairing. The salvage status is assigned when the total damage is higher than a percentage of the value of the vehicle (usually between 75-90% depending on the state). When a vehicle is deemed salvage, it cannot be registered and driven until it is fixed up, inspected by the state and labeled as "rebuilt" on the title. In addition to being in a serious accident, a vehicle can get a salvage title due to flood damage, hail damage, vandalism, and theft recovery. It's only a good deal if you can get out of your garage every day. As with buying nearly anything at a steep discount, you will encounter some tradeoffs between price and peace of mind. Any time you make a large purchase like a car, you need to do your homework and make sure you're spending your money wisely so you don't have buyer's remorse later. When it comes to buying a used car with a rebuilt title, taking these precautions becomes even more important. The single biggest reason to buy a vehicle with a rebuilt title is a significantly lower price tag. According to Edmunds, a car that has had a salvage status will usually sell for anywhere from 20% to 40% less than a comparable vehicle with a clean title. There are some vehicles with rebuilt titles that were fixed up correctly and would be as safe to buy as any other used car. Unfortunately, this isn't always the case. When a vehicle has been through damage serious enough to deem it totaled, it's very difficult to determine if the vehicle repairs are enough to keep it on the road. No matter how low a price you find, it won't do you much good if you'll be spending more time in the repair shop than actually driving the vehicle. Be prepared to have a hard time reselling a vehicle with a rebuilt title. If you're planning to sell the vehicle down the road, be aware that the resale value will be low considering it has the rebuilt title. It can also be difficult to find a buyer willing to take the car off your hands. If you have no intention of selling the car and you'll be driving it until it breaks, you can feel more confident buying a vehicle with a rebuilt title. Finally, getting a car loan and auto insurance becomes more challenging when you're buying a car with a rebuilt title. Lenders and insurance companies find it difficult to value the vehicle when it has held a salvage title and has been rebuilt. If the price is low enough to pay cash for the vehicle, you can avoid financing the vehicle through a lender entirely. Before you purchase, make sure your car insurance will cover a rebuilt title. Even if the vehicle's price tag is calling your name, you don't want to rush into purchasing a used car with a rebuilt title. First, you'll want to make sure you understand what repairs were done and if they were sufficient. 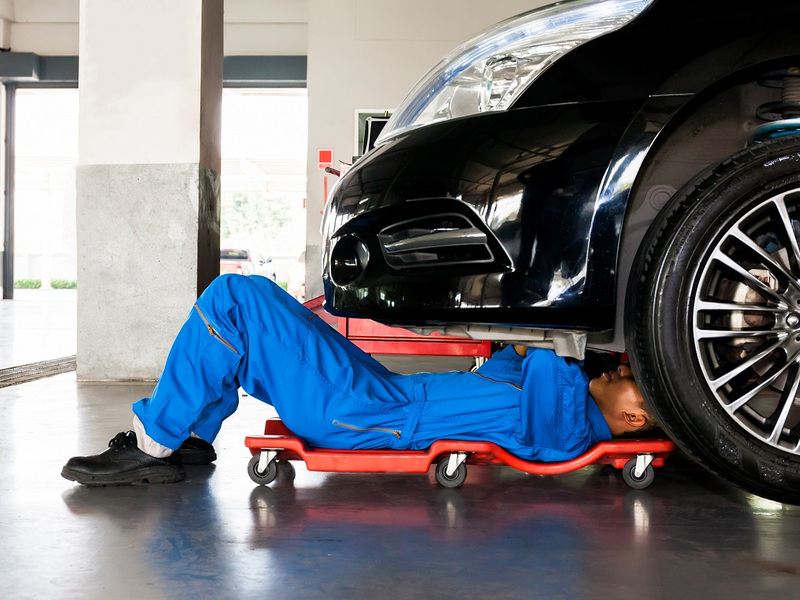 Before you buy the vehicle, take it to a reputable mechanic who will be able to give you a better idea of what you can expect and tell you if the vehicle is truly in drivable condition. You'll also want to be prepared when it comes to getting car insurance for the vehicle. Call your insurance agent and check if they are able to cover a car with a rebuilt title. If full coverage isn't available, you'll have to look for alternative insurance or forgo buying the vehicle. If the risks that come with a car that has had major damage aren't something you're willing to take on, a rebuilt car is not for you. It can mean dealing with ongoing breakdowns and repairs for years to come. As an alternative, we'd recommend shopping around for low priced used cars with clean titles that are older or higher in miles but have not been in any major accidents.